I like what HTC has been up to lately. Rather than fighting a race to the bottom with endless soulless variants of the same piece of hardware in a crowded (and fiercely competitive) Android handset market, it’s trying to grow beyond just being a handset manufacturer. I hate starting reviews with history lessons, but in this case we really do need to step back to see where HTC is coming from. In the beginning, HTC was a nameless OEM for other more famous brands. Its clients were smartphone and Pocket PC names like Palm with its Treo, Compaq with its iPaq, Dell with a number of the Axim PDAs, and UTStarcomm. As Windows Mobile aged and showed little signs of improving, HTC took its first step outside the bounds of being just a hardware assembler by taking on an ambitious project to revitalize Windows Mobile with a software skin. The fruits of this effort were TouchFlo, and later TouchFlo 3D UIs - which eventually would become HTC Sense. Somewhere between the release of the HTC Mogul and HTC Touch Pro, HTC realized that its future wasn’t purely in manufacturing devices for other handset vendors, but in leveraging its own brand. The combination of continually improving industrial design, software, and its own direction have turned HTC into the device manufacturer it is today. Things have come a long, long way since the HTC Dream, and today we’re looking at HTC’s latest and greatest with the HTC Sensation. I get a bit excited every time I look at the HTC Sensation. 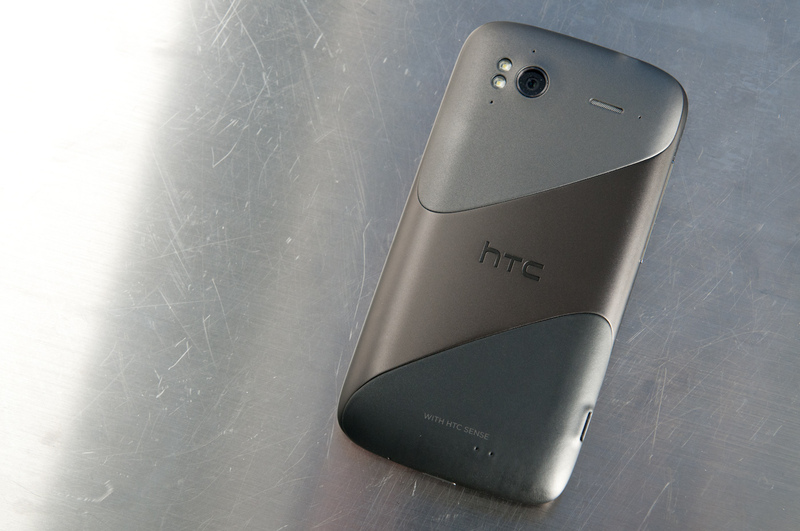 It’s a device with perhaps the strongest and most bold design language of any HTC phone to date. You can pretty much chart HTC’s design language by looking at each generation of its international handsets. The HTC Desire was essentially an international version of the Nexus One, with hardware buttons but the same 65nm single core Snapdragon QSD8250 SoC. The second generation was the HTC Desire HD, which brought a larger 4.3” screen and 45nm Snapdragon MSM8255 SoC. The third step is the HTC Sensation, which ups resolution from WVGA 800x480 to qHD 960x540 and brings a 45nm dual core Snapdragon MSM8260 SoC. Physically it’s obvious that each successive device builds on the former. 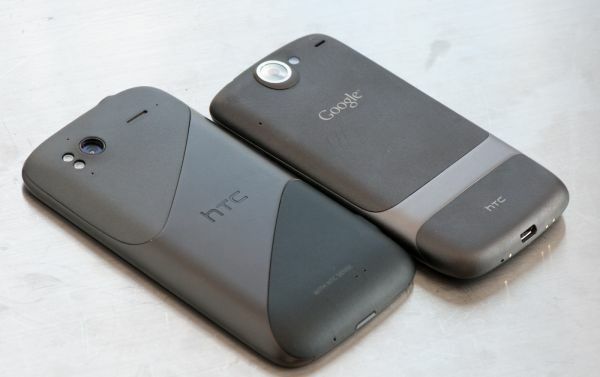 They’re all backed with HTC’s trademark purple-grey metal and have similar in-hand feel as a result. When I look at the Sensation, I see the Desire crossed with the Desire HD. When I actually hold the Sensation, I feel like I’m holding a grown-up Nexus One. The two share that trademark combination of slightly rubbery plastic and metal, and as a result the device feels grippy, solid, and confident. What the Sensation also really continues from the other devices is the lack of a hard lip of any kind at the edge, instead every corner rolls off giving the phone a smooth feeling. The sensation of holding something rigid and expensive is communicated by that combination of materials, rather than the cheap plasticky feel conveyed by a number of other handsets. The Sensation comes in the same style of packaging that we've seen other T-Mobile phones arrive in. It's a two-part box with a thin middle strip. The top lifts off revealing the phone, and underneath that is the usual paperwork, HTC AC adapter and microUSB cable, and earbuds. I started off making one monolithic video for the Sensation, but that ended up being unwieldy, so I split it into multiple parts. The first one is simply a look at the hardware from all angles, torn down, and how it compares to both HTC's legacy devices and some of its modern contenders. Good :) When do you think Anand will be ready with his Evo 3d review? Also, do you know if there is a HTC phone with a hardware keyboard based on the Qualcomm 8660 being released soon on Sprint? Anand will finish up the EVO 3D review next week most likely. He's been under the weather this week, but next is the target. I honestly don't know about an MSM8660 based phone with keyboard coming soon. MSM8260 on T-Mobile with keyboard is coming with the MyTouch 4G Slide though.